Much harder to find than the equivalent GPO 332 and a stunning example. I have fitted a perfect Siemens gold label. This model is quite an unusual telephone. Siemens provided this one with a drawer blanking plate which was the norm for this model. A you can see it is in wonderful condition and as good as you will find. 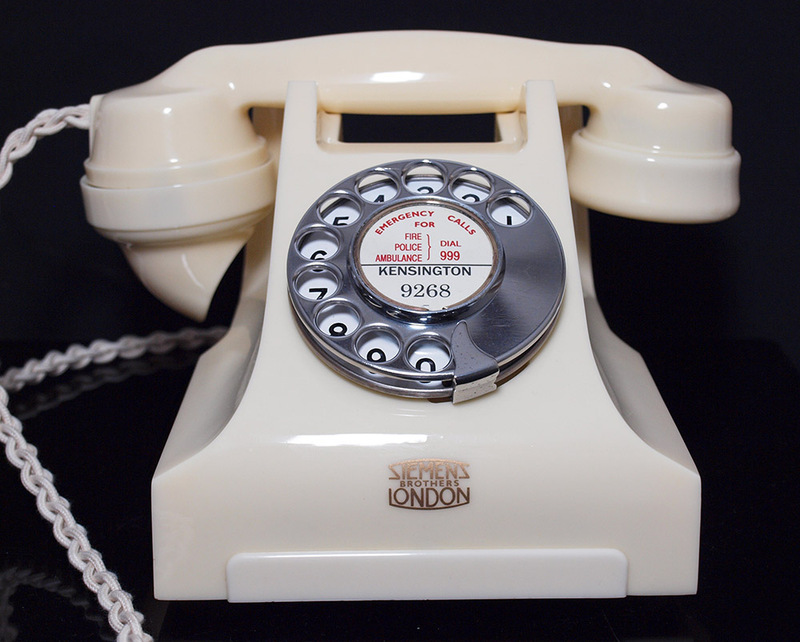 The handset is marked Siemens Brothers of London etc in the oval. It has been stripped down and rebuilt after each part has been cleaned and polished. 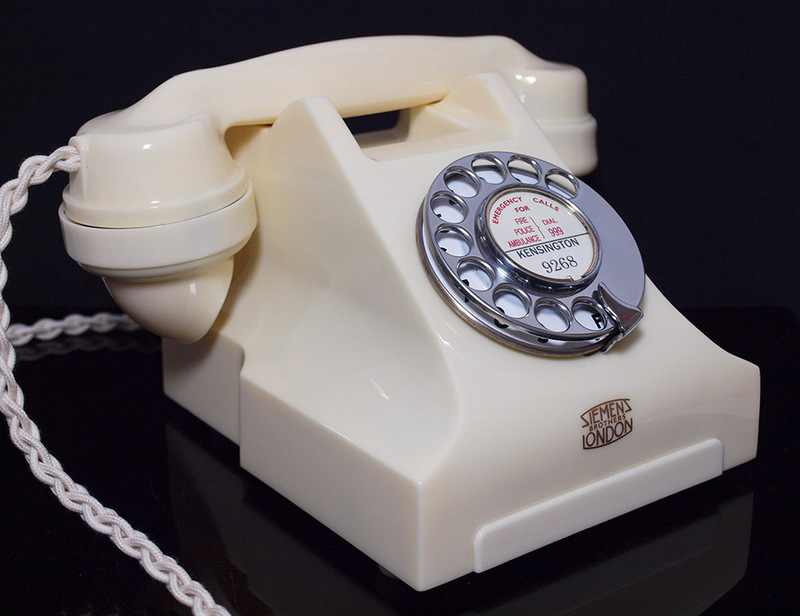 I have fitted a very best quality all British manufactured hand plaited braided handset cord, an electronic microphone and a GPO specification round plastic line in cord with a UK telephone plug socket. this telephone has been fully converted and ready to simply plug in and go and will dial out and receive calls perfectly. 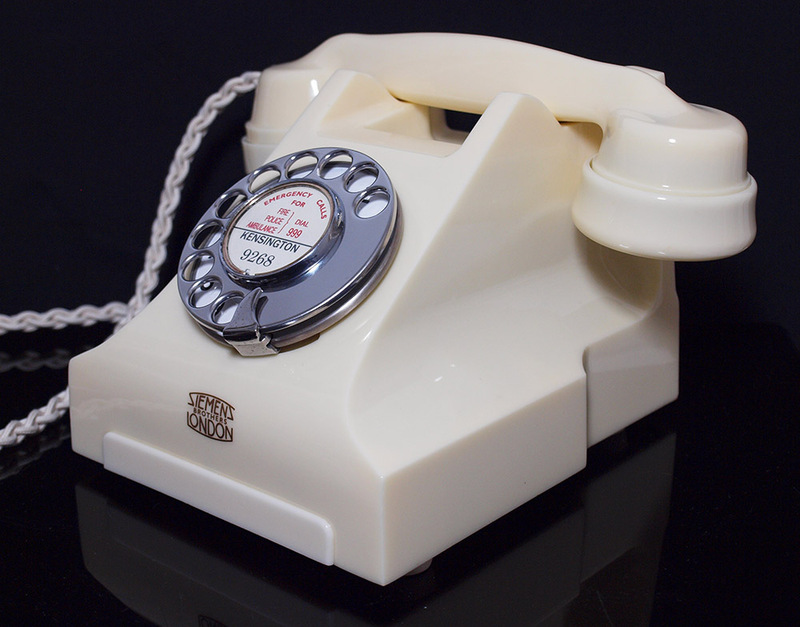 It retains a GPO No10 enamel faced number dial and I will make a dial label with your information at no extra charge.